“The Senbei Route was the bread and butter of Umeya.” — Tak Hamano, Chairman of Umeya, on pre-WWII Umeya Rice Cracker Co. The first new organization I joined after I retired was the Little Tokyo Historical Society (LTHS). My good friend Bill Watanabe recruited me, but I didn’t need much convincing. I became a community activist and cut my teeth on building programs in Little Tokyo during the 1970s; working out of the JACS-AI Office (Japanese American Community Services–Asian Involvement) on the third floor of the Sun Building located on Weller Street. It was a heady era of social change: new ideas, taking on provocative issues, experimentation, the freedom to dream. Many new and needed social service and political programs that still exist today were born during that time. We practically lived, worked and ate there seven days a week. And I never got tired of the food. I still vividly remember looking forward to every Friday at Tokyo Gardens for their chashu/shu mai special. So I looked forward to “coming home” decades later. But what a different Little Tokyo greeted me. LTHS, in a way, helped acclimatize me to the many new changes. Working with the group also showed me that, although I was a daily presence there for so many years, I was so focused on the work we were doing that I didn’t fully appreciate the historical specialness of Little Tokyo (LT). This really hit me as I worked on the calendar that LTHS produces each year. It was a joy and a revelation working on the 2017 calendar. None of us on the committee realized how much food history was tucked into the Nikkei nooks and crannies of Little Tokyo. As our committee struggled to parse out our food theme, we discovered that Little Tokyo housed a treasure trove of significant “food firsts” that ultimately defined the design and tone of the calendar. Alex Trebek: Food for $400. The answer is — KAWAFUKU. Rafu Reader: Where was the first sushi bar in the U.S.? Some Little Tokyo long-timers (I no longer say “old-timers”) may remember that Kawafuku Restaurant introduced the original sushi bar in America in the 1970s. Located at 204 E. First St., Kawafuku was a popular high-end restaurant for special family celebrations back in the day. Trebek: Food for $600. The answer is — TOKYO KAIKAN. Rafu Reader: Who created the California roll? How many of you Rafu readers knew that the ubiquitous California roll was the creation of a sushi chef at Tokyo Kaikan during the 1970s? I still miss hanging out at Tokyo Kaikan after meetings with friends and local politicos like Jim Miyano, Jeff Matsui and Mas Fukai. Tokyo Kaikan had the best tempura bar, and killer shabu shabu – yum. Trebek: Food for $800. The answer is — ROSE FROZEN SHRIMP COMPANY. Rafu Reader: Who invented frozen fish sticks? You can always find Gorton’s and Mrs. Paul’s Frozen Fish Sticks, which are popular with people from all walks of life, in the supermarket freezers anywhere in this country. How surprised would they be to find out that frozen breaded fish sticks were invented by Rose Frozen Shrimp Company, based in Little Tokyo and founded by Harry Shigehisa Takei after the end of World War II? Trebek: Food for $1,000. The answer is — FUGETSU-DO. Rafu Reader: Who invented the fortune cookie? Although many have claimed that honor, our calendar committee researchers found the most credible claim was that Seiichi Kito, who founded Fugetsu-Do in Little Tokyo in 1903, invented the fortune cookie. The original fortune cookies had haiku (Japanese poetry) – how wonderful was that! The Chinese Historical Society of New England recognized Fugetsu-Do as the inventor of the fortune cookie in 2003. Trebek: Final Jeopardy. The answer is — UMEYA RICE CRACKER COMPANY. Rafu Reader: Who was the largest distributor of senbei and fortune cookies in the U.S.? One of the highlights for me was the opportunity to meet with Tak Hamano of Umeya Rice Cracker Company and use his historical photos for our calendar. What a character! And what a story. Prior to World War II, Umeya had a bustling factory on Weller Street producing up to 2,000 cookies a day by hand. 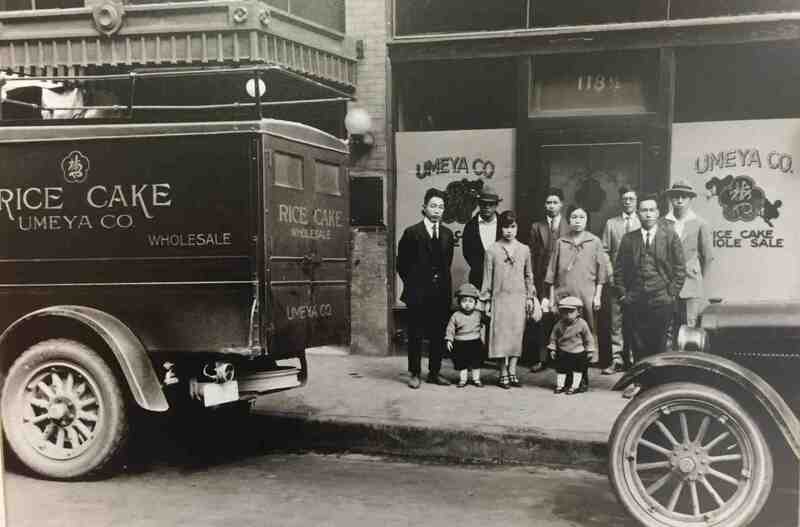 Together with its delivery trucks, Umeya became the largest distributor of fortune cookies and senbei in California, regularly delivering to cities including Pismo to Santa Barbara, Santa Maria, Bakersfield, Delano, Fresno to San Diego, Santa Ana; as well as daily runs to Long Beach, San Pedro, Hollywood. “The Senbei Route was the bread and butter of Umeya,” says Hamano. That quote should be the first sentence of Tak Hamano’s autobiography. Each month of the LTHS 2017 calendar features a food, restaurant or business that has made a significant contribution to American culture through a food innovation. And there are more amazing discoveries throughout the calendar, including a surprise link between Kawafuku and Bronzeville. But you’ll have to find it in the calendar. In addition to creating your own “Jeopardy” game, special coupons come with each calendar offering discounts to Far Bar, JiST, Mitsuru Café and Curry House – all of which are also featured in various months in the calendar. The intent of the LTHS Calendar Committee is to celebrate and honor the history of Little Tokyo, and invite people to join with LTHS and other LT organizations working to protect and preserve our community from over-gentrification. The 2017 Little Tokyo Historical Society Calendar is available at the Japanese American National Museum gift shop, Bunkado, Rafu Bussan in Honda Plaza, and Kinokuniya Bookstore, as well as Vroman’s Independent Bookstore in Pasadena. 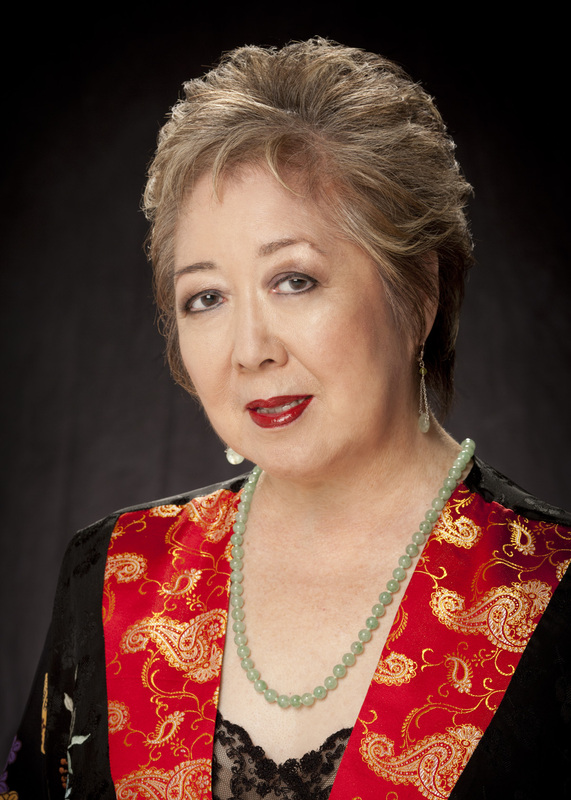 Miya Iwataki has been an advocate for communities of color for many years, from the JACS Asian Involvement Office in Little Tokyo in the ’70s, through the JA redress/reparations struggle with NCRR while working for Congressman Mervyn Dymally, to statewide health rights advocacy. She also worked in public media at KCET-TV, then KPFK Pacifica Radio as host for a weekly radio program, “East Wind.” She can be reached at [email protected] Opinions expressed are not necessarily those of The Rafu Shimpo.